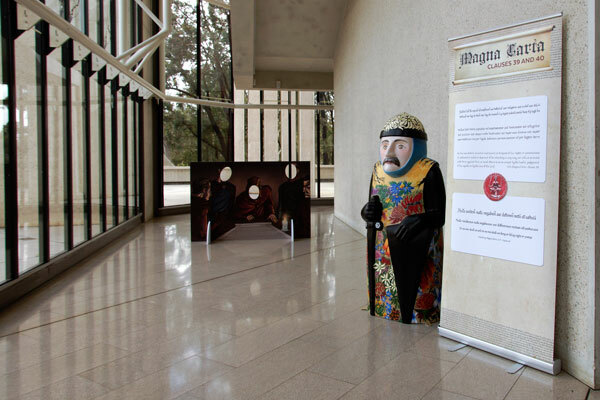 Students from Meriden, an Anglican School for Girls in Sydney, have recognised the unique role of the Magna Carta in Australian society and have created a fitting tribute – a modern Australian Baron. 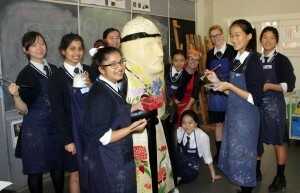 Meriden Visual Arts students from years 10 and 11 have illustrated the Baron, Robert de Ros (nicknamed “Sir Bob”) with a tribute to the Australian artist Margaret Preston. Margaret Preston was one of Australia’s leading modernist artists during the early parts of the 20th century. She is renowned for her celebration of the Australian landscape, flora and fauna through painting and printmaking. The Meriden students chose the work of Preston because of her vibrant colour and her distinctive take on Australian identity. Through her still life and landscape artworks, Preston introduced a distinctly Australian visual language to the art world. 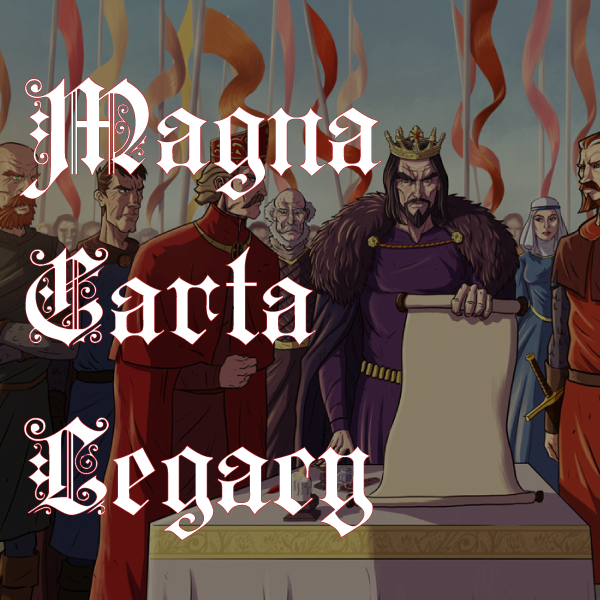 The Meriden students were keen to have the Magna Carta Baron represent the uniqueness of the flora and landscape of our nation. The sculpture was produced by Wild In Art and is based on the Lewis Chessmen. The Lewis Chessmen are a group of 12th century chess pieces which are carved in walrus ivory. They were discovered in Scotland in 1831 and now reside in the British Museum in London and in the National Museum of Scotland in Edinburgh. The Baron is currently on display in the Magna Carta exhibition at the High Court of Australia. The students who worked on Sir Bob were: Rimsha Achanya, Ayesha Howland-Rose, Taylor Lam, Katherina Lee, Stella Namkoong, Shenuka Pimanda, Kellie Shen, Lillian Smith, Wei Wei Wang, and Amber Yoo. The students were directed by their teacher Rachel Honnery.